Projecting your special event or presentation on a big screen or LED wall when you have a large audience is key to keeping everyone engaged. Just ask the people standing or sitting in the back of the room, amphitheater or concert hall. Audiences love it when they can see the event on a big screen. If a crowd stretches far to the back it can be hard to see. And, that section of your audience will lose interest. Projection allows the audience, no matter their vantage point, to get a great view of the show. If a crowd isn’t fully engaged with the visual you are presenting, they might not come back for your next show, concert or presentation. 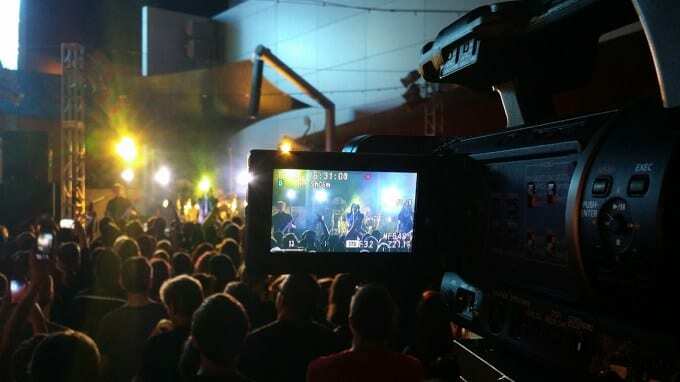 An added bonus to having a camera operator on hand doing the projecting is the ability to project the audience on the screen or wall between band sets or presenter breaks. This helps pass the time and keeps the audience engaged. And, keep in mind the benefit of being able to show sponsor or event participant logos on the screen before the show and during breaks. At Spectrum Video, we offer several options for projecting a show onto a big screen – from a one-camera package to a director and live switch between multiple cameras. Options and pricing will vary depending on your location and connectivity. Do you have your own LED wall or do we need to bring screens? Do you have the right cables, connectors or scan converter to get to your large screen? If you have an upcoming event, contact us at Spectrum Video to determine if projection is the right choice for your audience.